Manas National Park is UNESCO World Heritage site, Tiger Reserve, Elephant Reserve, Biosphere Reserve, National Park and also a Wildlife Sanctuary. 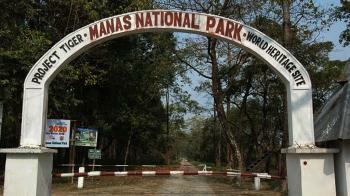 Manas National Park is located in Himalayan foothills in Assam, India. The park is Contiguous with the Royal Manas National Park in Bhutan. The name of the park is originated from the Manas River, which is named after the serpent goddess Manasa. The Manas river is a major tributary of Brahmaputra River, which passes through the heart of the national park. The park is known for its rare and endangered endemic wildlife such as the Assam roofed Turtle, Pygmy Hog, Golden Langur. It extends over an area of 2837 Sq. Km from Sankosh river in the west to Dhansiri river in the east, with a core area of 500 Sq. Km. The half of the Park is covered by Grasslands of Terai and Bhabar type, the riparian areas have colonizing grasslands and woodlands of several species. The thick woodlands are called Eastern Moist Deciduous Forests of various types. 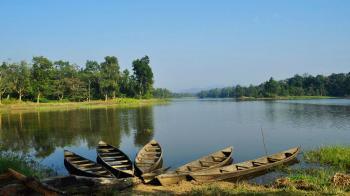 In the State of Assam, India there are many places to visit. Bhuvaneshvari Temple is one of them. Bhuvaneshvari Temple is dedicated to Goddess Bhuvaneswari or “Goddess of strength” - Durga. Bhuvaneshwari means the Queen or ruler of the Universe. She is also known as Adi Shakti or Durga. 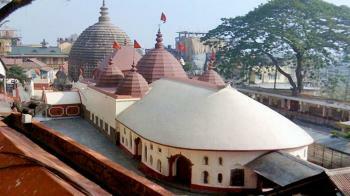 The temple is even further above than the famous Kamakhya Temple. 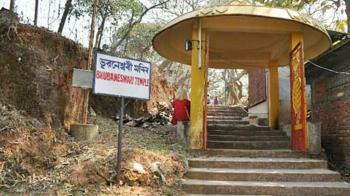 Bhuvaneshvari Temple is located on the top of the phantasmagoric Nilachal Hill. The ideal duration of this place is 2 hours. This place is popular for God Lovers, Nirvana Seekers, Experience Seekers, Nature Lovers. The panoramic view of the entire city can be enjoyed from outside the temple. Many devotees come in this temple in every year. There are many places to visit near Bhuvaneshvari Temple. In the State of Assam, India there are many places to visit. There are different National Park or Wildlife Sanctuary in this place. 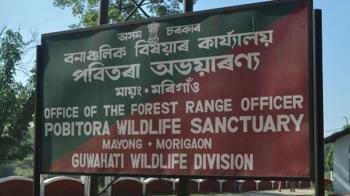 Pobitora Wildlife Sanctuary is one of them. 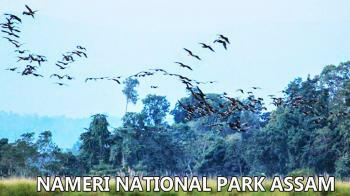 This National Park is located in the Marigaon district. This park situated near the Guwahati. This park covers an area of 38.8 sq. km. Pobitora was declared a reserved forest in 1971 and a wildlife sanctuary in 1987. The ideal duration of this park is 2 hours. Assamese and English languages are used in this place. There are many attractions in this park. The Main Wildlife Found in this park are Rhinoceros, Asiatic Buffalo, Leopard, Wild bear. This wildlife is mainly famous for its great Indian One-horned rhinoceros. 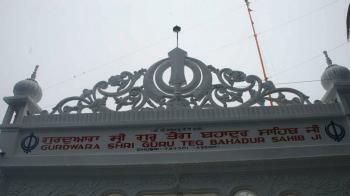 Gurdwara Sri Guru Tegh Bahadur Sahib is also known as Gurudwara Damdama Sahib or Dhubri Shaib. Gurdwara Sri Guru Tegh Bahadur Sahib is the sikhs gurudwara which is located on the banks of Brahmaputra river in Dhubri district of Assam. Guru nanak Dev ji, the first guru of sikh visited the gurudwara and met Srimanta Sankardeva on his way when he traveled from Dhaka to Assam in 1505 AD. In the 17 century, 9th guru shri Guru Teg Bahadur ji came to this place and established this Gurudwara. the world assemble in this historic shrine every year in December to mark the martyrdom of Guru Tegh Bahadur. The festival starts on 3rd of December with great solemnity and ceremony. Sikhs call this festival Sahidee-Guru-Parav. 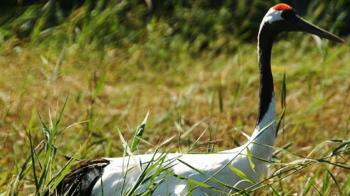 Dibru-Saikhowa National Park is located in Tinsukia town of Assam covering an area of 340 km2. The park is bounded by the Brahmaputra and Lohit river in the north and Dibru river in the south. The National Park mainly consists of moist mixed semi-evergreen forests, moist mixed deciduous forests, canebrakes and grasslands. It is the largest salix swamp forest in north east India. The National Park is a haven for many endangered species. Kaziranga National Park is located in Golaghat ang Nagaon district of Assam covering an area of 756 sq km. The elevation of the park ranges from the 131 ft to 262 ft and circumscribed by the river Brahmaputra and Mora Dilphu. 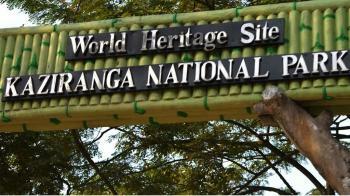 The national park is also a sanctuary which host the two third of one horned rhinoceroses is world heritage site. The park has been the theme of the several books and the documentaries. Census conducted by the Forest Department of the Government of Assam and some recognized wildlife NGOs, the population of rhinos in the park are 2,401. In the State of Assam, India there are many places to visit. There are different national parks or wildlife sanctuaries to visit in this state. Sonai Rupai Wildlife Sanctuary is one of them. Sonai Rupai Wildlife Sanctuaryis located along the foothills of the Great Himalayan Range. It covers an area of 175 sq. km. This sanctuary was established in 1998. 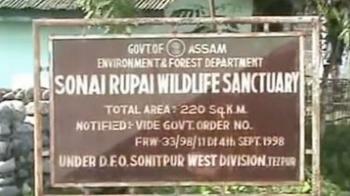 The nearest city from Sonai Rupai Wildlife Sanctuary is Tezpur. There are amny places to visit in Tezpur. There are many attractions in this wildlife sanctuary. Main attractions are Tiger, Lesser Cats, Elephant, Qaur, Wild Boar, Hog Deer, Barking Deer. This sanctuary is larger than the nearby Pabha wildlife sanctuary.